Visit watermarkhomeloans facebook page. Visit watermarkhomeloans linkedin page. Visit watermarkhomeloans twitter page. Visit watermarkhomeloans Google Plus page. Get a no obligation rate quote today. Find out your rate now! Are you a veteran, or eligible for VA benefits? • Purchase a home with $0 down! • Loan amounts up to $1,500,000! • Possibly waive the VA funding fee! • Refinance even when upside down! With our VA loan programs, you may purchase a new home with as little as zero down, with Jumbo loan amounts up to $1,500,000, or refinance your current VA loan even if you are upside down! We are ready to discuss your home loan needs. Ready to get started? 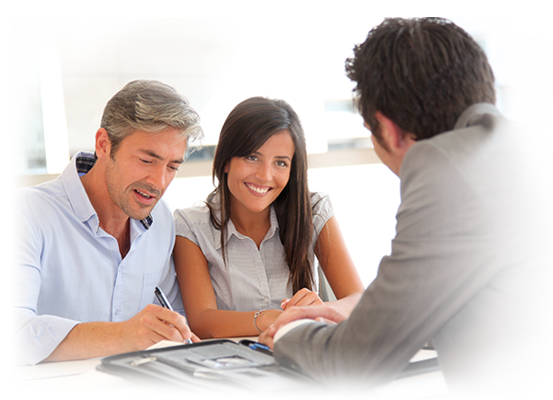 Our home loan experts are waiting to help you. Terms, conditions & restrictions apply. Subject to underwriting approval. Application required; not all applicants will be approved. Property insurance and other documentation may be required. Loan secured by a lien against your property. Consolidating or refinancing debts may increase the time and/or the finance charges/total loan amount needed to repay your debt. Fees and charges may apply, and may vary by product and state. Taxes & insurance extra. Appraisal and other fees paid outside of closing (POC) are non-refundable. Important information relating specifically to your loan will be contained in the loan documents, which alone will establish your rights and obligations under the loan plan. Call for details. ©2019 WaterMark Capital, Inc. All Rights Reserved.